Cosmetic Dentist Meriden CT | Smile makeovers with veneers, crowns, whitening & white dental fillings! 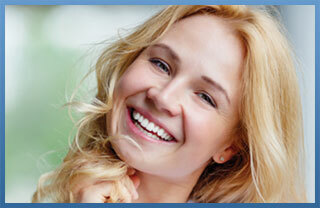 Transform the way you look and feel with a beautiful, natural-looking smile makeover. When your smile looks good, you feel great! Because of this, the doctors of the Dental Group of Meriden-Wallingford emphasize the aesthetic aspect in all of their work. Your treatment plan will combine the best preventive care, tooth-colored fillings, and restorative techniques for optimum dental health. Today's smile makeovers are easy and affordable. Click the headlines below to learn more about some of our options to help you achieve the smile you've always wanted. A Smile Makeover in Only Two Visits! You might believe that because you have misshapen teeth, noticeable gaps, or deep discoloration, there isn't much that can be done to fix it without an expensive, long-term intervention. But we have an excellent solution. Veneers are constructed from the most advanced dental ceramic available and look perfectly natural. They fit over and are bonded to your own teeth, so extensive work isn't necessary. 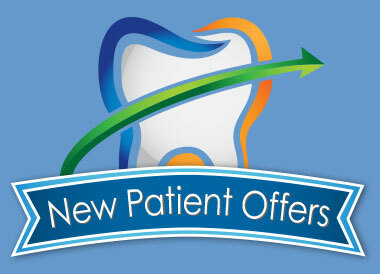 You can get your smile makeover in just two visits! We even offer Lumineers™ veneers that are contact-lens thin and super translucent. Since Lumineers are so thin, little to no tooth reduction is required. Often times you won't even need a shot! Dental Group of Meriden-Wallingford is an independent reseller and is not affiliated with or sponsored by Den-Mat Holdings/LUMINEERS. Who doesn't want a brighter smile? 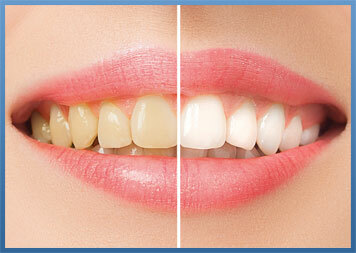 Whiter teeth look healthier and give you more confidence. You might be surprised how easy they are to achieve with a professionally supervised bleaching process. We create whitening trays in our in-office lab, customized for each patient. We provide the trays and all the supplies you need, along with instructions to complete the procedure at home. You can expect to see results from this safe, effective technique within about 1 - 14 days. 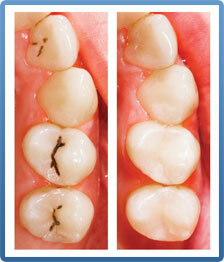 Wear and tear, decay, and breakage can cause too much damage for a simple filling. In these cases, we will place a beautiful, natural-looking crown over it that will save the tooth and even strengthen it. We use only the highest-quality materials to create your crown, and even someone looking closely wouldn't be able to distinguish the beautiful restoration from a natural tooth. Standard fillings have been made from silver-mercury amalgam for many years. A reasonable restoration for many patients, amalgams do have a few problems. Metal does not bond tightly to teeth, so decay can and does eventually leak into the tooth. However, the biggest reason many of our patients select white bonded fillings has to do with appearance. Many people simply want to avoid a dark, ugly filling in their teeth. We offer modern restorations that are a natural-looking white, contain no metals, and can actually strengthen your teeth. Because they bond securely with the healthy tooth structure, they lower the risk of future decay. Schedule a complimentary consultation by calling (203) 235-5588, and discover how cosmetic solutions and teeth whitening can give you a brilliant new smile!